This 2019 Ram 1500 Tradesman is proudly offered by Jacksons of Enid You've found the one you've been looking for. Your dream car. This is the one. Just what you've been looking for. You could keep looking, but why? You've found the perfect vehicle right here. The look is unmistakably Ram, the smooth contours and cutting-edge technology of this Ram 1500 Tradesman will definitely turn heads. Contact Jacksons of Enid today for information on dozens of vehicles like this 2019 Ram 1500 Tradesman. Just what you've been looking for. With quality in mind, this vehicle is the perfect addition to take home. Based on the superb condition of this vehicle, along with the options and color, this Ram 1500 Tradesman is sure to sell fast. You can finally stop searching... You've found the one you've been looking for. This is about the time when you're saying it is too good to be true, and let us be the one's to tell you, it is absolutely true. Jacksons of Enid is excited to offer this 2019 Ram 1500. You've found the one you've been looking for. Your dream car. This is about the time when you're saying it is too good to be true, and let us be the one's to tell you, it is absolutely true. The look is unmistakably Ram, the smooth contours and cutting-edge technology of this Ram 1500 Tradesman will definitely turn heads. There is no reason why you shouldn't buy this Ram 1500 Tradesman. It is incomparable for the price and quality. This outstanding example of a 2019 Ram 1500 Tradesman is offered by Jacksons of Enid. Equipped with 4WD, this Ram 1500 gives you added confidence to tackle the surface of any path you take. You can finally stop searching... You've found the one you've been looking for. Just what you've been looking for. With quality in mind, this vehicle is the perfect addition to take home. This is the one. Just what you've been looking for. Contact Jacksons of Enid today for information on dozens of vehicles like this 2019 Ram 1500 Tradesman. Want to brave the road less traveled? You'll have the 4WD capabilities to do it with this vehicle. There is no reason why you shouldn't buy this Ram 1500 Tradesman. It is incomparable for the price and quality. The Ram 1500 Tradesman will provide you with everything you have always wanted in a car -- Quality, Reliability, and Character. This is about the time when you're saying it is too good to be true, and let us be the one's to tell you, it is absolutely true. This 2019 Ram 1500 Big Horn/Lone Star is offered to you for sale by Jacksons of Enid. This is about the time when you're saying it is too good to be true, and let us be the one's to tell you, it is absolutely true. The Ram 1500 Big Horn/Lone Star will provide you with everything you have always wanted in a car -- Quality, Reliability, and Character. Just what you've been looking for. With quality in mind, this vehicle is the perfect addition to take home. Based on the superb condition of this vehicle, along with the options and color, this Ram 1500 Big Horn/Lone Star is sure to sell fast. This 2019 Ram 1500 Big Horn/Lone Star is proudly offered by Jacksons of Enid Based on the superb condition of this vehicle, along with the options and color, this Ram 1500 Big Horn/Lone Star is sure to sell fast. You've found the one you've been looking for. Your dream car. You can finally stop searching... You've found the one you've been looking for. This is the one. Just what you've been looking for. Contact Jacksons of Enid today for information on dozens of vehicles like this 2019 Ram 1500 Big Horn/Lone Star. Just what you've been looking for. With quality in mind, this vehicle is the perfect addition to take home. The Ram 1500 Big Horn/Lone Star will provide you with everything you have always wanted in a car -- Quality, Reliability, and Character. Based on the superb condition of this vehicle, along with the options and color, this Ram 1500 Big Horn/Lone Star is sure to sell fast. The look is unmistakably Ram, the smooth contours and cutting-edge technology of this Ram 1500 Big Horn/Lone Star will definitely turn heads. This 2019 Ram 1500 Big Horn/Lone Star is offered to you for sale by Jacksons of Enid. Today's luxury vehicle is not just about opulence. It's about a perfect balance of performance, comfort and attention to detail. This 2019 Ram 1500 is the perfect example of the modern luxury. With 4WD, you can take this 2019 Ram 1500 to places roads don't go. It's all about the adventure and getting the most enjoyment out of your new ride. You can finally stop searching... You've found the one you've been looking for. You could keep looking, but why? You've found the perfect vehicle right here. This outstanding example of a 2019 Ram 1500 Big Horn/Lone Star is offered by Jacksons of Enid. Pull up in the vehicle and the valet will want to parked on the front row. This Ram 1500 is the vehicle others dream to own. Don't miss your chance to make it your new ride. This 4WD-equipped vehicle will handle beautifully on any terrain and in any weather condition your may find yourself in. The benefits of driving a 4 wheel drive vehicle, such as this Ram 1500 Big Horn/Lone Star, include superior acceleration, improved steering, and increased traction and stability. This is the one. Just what you've been looking for. You can finally stop searching... You've found the one you've been looking for. Contact Jacksons of Enid today for information on dozens of vehicles like this 2019 Ram 1500 Big Horn/Lone Star. You deserve a vehicle designed for higher expectations. This Ram 1500 delivers with a luxurious, well-appointed interior and world-class engineering. Handle any terrain with ease thanks to this grippy 4WD. Whether you're on a slick pavement or exploring the back country, you'll be able to do it with confidence. This is about the time when you're saying it is too good to be true, and let us be the one's to tell you, it is absolutely true. This is the one. Just what you've been looking for. This outstanding example of a 2019 Ram 1500 Big Horn/Lone Star is offered by Jacksons of Enid. This outstanding example of a 2019 Ram 1500 Big Horn/Lone Star is offered by Jacksons of Enid. Today's luxury vehicle is not just about opulence. It's about a perfect balance of performance, comfort and attention to detail. This 2019 Ram 1500 is the perfect example of the modern luxury. No matter the terrain or weather, you'll drive at ease in this 4WD-equipped vehicle. With exceptional safety features and superb handling, this 4WD was engineered with excellence in mind. Just what you've been looking for. With quality in mind, this vehicle is the perfect addition to take home. The Ram 1500 Big Horn/Lone Star will provide you with everything you have always wanted in a car -- Quality, Reliability, and Character. This 2019 Ram 1500 Big Horn/Lone Star is offered to you for sale by Jacksons of Enid. You appreciate the finer things in life, the vehicle you drive should not be the exception. Style, performance, sophistication is in a class of its own with this stunning Ram 1500. Take home this Ram 1500 Big Horn/Lone Star, and you will have the power of 4WD. It's a great feature when you need to drive over tricky terrain or through inclement weather. You've found the one you've been looking for. Your dream car. Just what you've been looking for. With quality in mind, this vehicle is the perfect addition to take home. This outstanding example of a 2019 Ram 1500 Big Horn/Lone Star is offered by Jacksons of Enid. Pull up in the vehicle and the valet will want to parked on the front row. This Ram 1500 is the vehicle others dream to own. Don't miss your chance to make it your new ride. Simply put, this Four Wheel Drive is engineered with higher standards. Enjoy improved steering, superior acceleration, and increased stability and safety while driving this 4WD Ram 1500 Big Horn/Lone Star. You can finally stop searching... You've found the one you've been looking for. The look is unmistakably Ram, the smooth contours and cutting-edge technology of this Ram 1500 Big Horn/Lone Star will definitely turn heads. You can find this 2019 Ram 1500 Big Horn/Lone Star and many others like it at Jacksons of Enid. You appreciate the finer things in life, the vehicle you drive should not be the exception. Style, performance, sophistication is in a class of its own with this stunning Ram 1500. This 4WD-equipped vehicle handles any condition on- or off-road with the sure footedness of a mountain goat. With unequaled traction and stability, you'll drive with confidence in any weather with this Granite Crystal Met. Clea 2019 4WD Ram 1500 Big Horn/Lone Star. You've found the one you've been looking for. Your dream car. Based on the superb condition of this vehicle, along with the options and color, this Ram 1500 Big Horn/Lone Star is sure to sell fast. This 2019 Ram 1500 Big Horn/Lone Star is proudly offered by Jacksons of Enid You appreciate the finer things in life, the vehicle you drive should not be the exception. Style, performance, sophistication is in a class of its own with this stunning Ram 1500. At home in the country and in the city, this 2019 4WD Ram 1500 Big Horn/Lone Star has been wonderfully refined to handle any occasion. Smooth steering, superior acceleration and a supple ride are just a few of its qualities. Just what you've been looking for. With quality in mind, this vehicle is the perfect addition to take home. There is no reason why you shouldn't buy this Ram 1500 Big Horn/Lone Star. It is incomparable for the price and quality. This outstanding example of a 2019 Ram 1500 Big Horn/Lone Star is offered by Jacksons of Enid. You appreciate the finer things in life, the vehicle you drive should not be the exception. Style, performance, sophistication is in a class of its own with this stunning Ram 1500. No matter the terrain or weather, you'll drive at ease in this 4WD-equipped vehicle. With exceptional safety features and superb handling, this 4WD was engineered with excellence in mind. You've found the one you've been looking for. Your dream car. This is about the time when you're saying it is too good to be true, and let us be the one's to tell you, it is absolutely true. This outstanding example of a 2019 Ram 1500 Big Horn/Lone Star is offered by Jacksons of Enid. Pull up in the vehicle and the valet will want to parked on the front row. This Ram 1500 is the vehicle others dream to own. Don't miss your chance to make it your new ride. When Ram created this vehicle with 4 wheel drive, they immediately enhanced the performance ability. Easily switch between two and four wheel drive to take advantage of the improved steering and superior acceleration. This is the one. Just what you've been looking for. You could keep looking, but why? You've found the perfect vehicle right here. 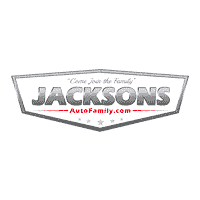 This 2019 Ram 1500 Big Horn/Lone Star is proudly offered by Jacksons of Enid You appreciate the finer things in life, the vehicle you drive should not be the exception. Style, performance, sophistication is in a class of its own with this stunning Ram 1500. No matter the terrain or weather, you'll drive at ease in this 4WD-equipped vehicle. With exceptional safety features and superb handling, this 4WD was engineered with excellence in mind. You can finally stop searching... You've found the one you've been looking for. There is no reason why you shouldn't buy this Ram 1500 Big Horn/Lone Star. It is incomparable for the price and quality.